Once upon a time there was a land called Australia where higher education was so valued that its universities were almost totally funded by Government. Indeed, if we cast our minds back to the halcyon days of 1974, when the then Whitlam Government took over State funding for our universities, the Federal Government provided some 90 percent of universities’ income. Historically, Government has understood the value in having public universities, universities not for profit for themselves but for the profit of the nation. As such they were worth priority investment as the crucible of the nation’s economic strength; its future leaders; the graduates who were committed to building a competitive economically strong nation. Government also understood the important fact that the entire country benefited greatly from those who studied at university, that degrees were earned by the minority but permeated and benefited the majority – every day of their lives. Government was proud of being the majority shareholder of campuses where it could rely on quality education and research being delivered, providing the nation with its doctors, lawyers, dentists, engineers, architects, paramedics, teachers and many of its politicians. Government extolled the scientific and technological advances from its universities be it measures addressing disease control, more successful IVF, protection from cancer, global engineering feats, and advances to assist burn victims, cyber security and defence protection, to name but a few research projects which have helped many millions around the world. University Vice Chancellors and tens of thousands of university staff, for their part, have continued to choose to pursue this public mission. However, this has come with an increased reliance by universities on fee-paying students from overseas and philanthropy from those in the private sector who see what successive governments appear unable to – that universities are worth funding, supporting, revitalising. But now, with yet more cuts looming, Government is abandoning majority public ownership of its universities. The immediate danger is that we are reaching a tipping point where this is no longer sustainable. 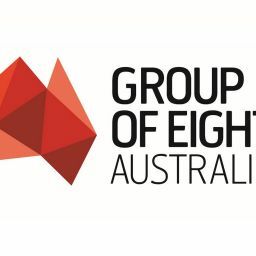 Group of Eight Chair and Vice Chancellor of the University of Queensland, Professor Peter Høj lamented this existential crisis for public universities in Australia head on at a recent speech to the National Press Club noting what he described as a ‘paralleled drift of universities away from majority public ownership’ and the ‘pace of what we might call ‘privatisation’ quicken. The fact remains that, together with the ‘paralleled drift’ as described by Professor Høj, $3.9 billion in commonwealth funding has been sliced from universities since 2011, the $3.8 billion Education Investment Fund, which previously funded infrastructure has effectively been closed and the current Budget proposals for Higher Education, if passed by the Senate, will take $2.8 billion of direct commonwealth funding out of the system. Ironically, this privatisation by stealth has gone on in plain sight. Until now, universities have been sufficiently adept at adjusting their business models in order to survive the withdrawal of public funding. However, we are now staring in the face of the real danger that the government is tilting the funding balance to the extreme. Its proposal to make the most brutal cuts by a federal government in more than 20 years will inevitably leave universities with reduced agency over their own business models. That is the reality and it is in stark contrast to the reality of our international competitors. The UK, Canada and Europe ring-fenced funding for science and universities during the Global Financial Crisis and the Asian region is currently undertaking massive investment in universities. The Government is already the OECD’s second-lowest contributor to tertiary education as a percentage of GDP and a significant proportion of our Australian student body is already paying over 80% of their tuition. They will need to pay even more, over 90%, should the package proceed. to deliver a world-class education to students paying more. The Go8 believes that the only way to redeem this situation is to oppose Government disinvestment in Higher Education and, in particular, by trenchant opposition to the cuts in legislation currently before the Senate. The 2017 proposed budget cuts – if supported by the Senate – will prove to be a tipping point for our students, our teaching and our world leading research and the Go8 urges the Senate to vote against the legislation to protect public universities. At a time when the Parliament has passed significant school funding reforms and enhanced investment it is baffling that we are now facing funding cuts to our universities. Let us not kick that own goal.